Book & Photo Exhibit Launch Today. 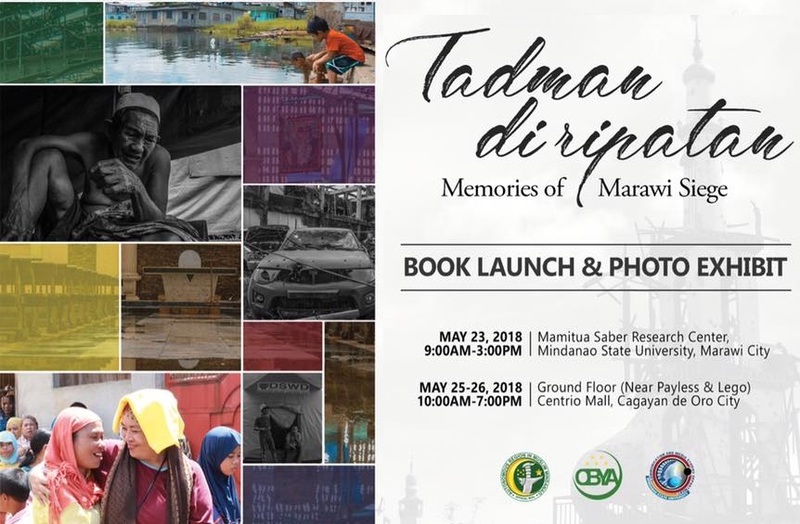 Today, May 23, 2018, the Office on Bangsamoro Youth Affairs, in coordination with the Office of the Regional Governor and Communication and Media Studies Department of Mindanao State University, will hold a Book Launching and Photo Exhibit entitled Tadman Di Ripatan (Memories that cannot be forgotten) to commemorate the first year of Marawi siege on May 23, 2018, 9:00 a.m. at Mamitua Saber, MSU Campus, Marawi City, Lanao del Sur. As such, all SDS, Division Officials as well as School Heads of DepEd-ARMM are requested to join and support the event. Proceeds from the event will be used to fund projects for Marawi IDPS. 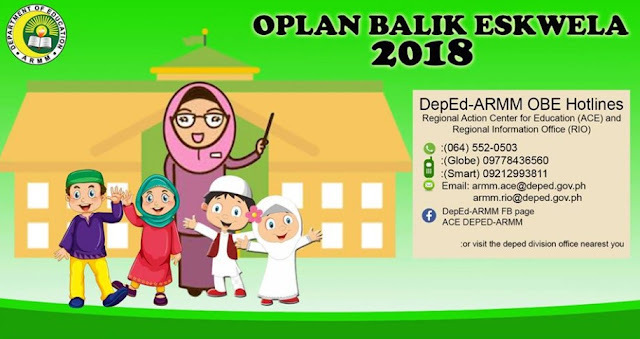 Oplan Balik Eskwela (OBE) Launched. 1. 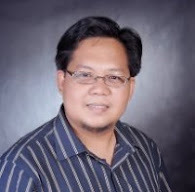 Bridging the Gap in Developing Classroom Skills : The Making of an effective Facilitator. 2. 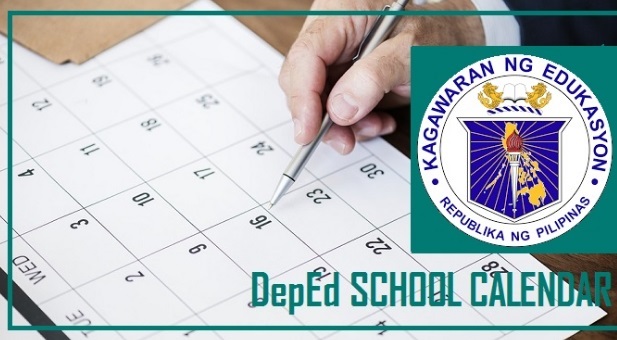 Training Courses at SEAMEO Regional Center for QITEP in Science Fiscal year 2018/2019. 3. 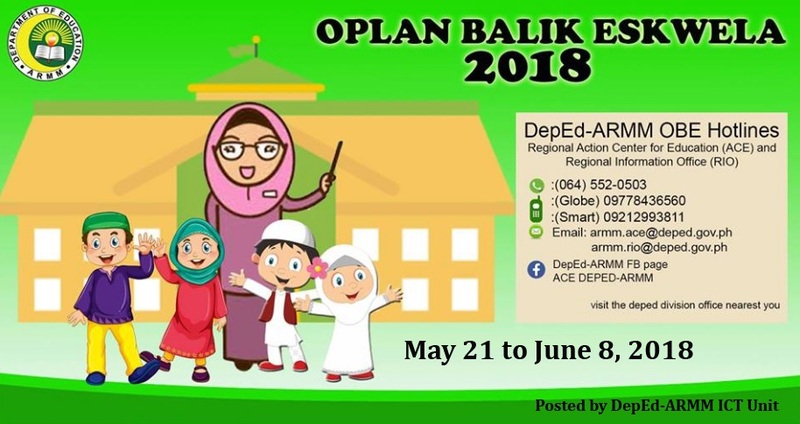 SEAQIL Regrants batch IV. 4. 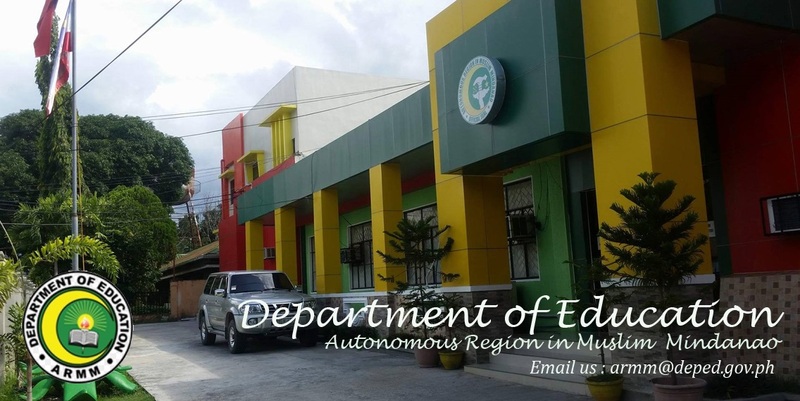 Training Course on Science and Technology Education Leveraging Relevance (STELR), Science Technology Engineering Mathematics (STEM) Education, SEAMEO QITEP in Science.